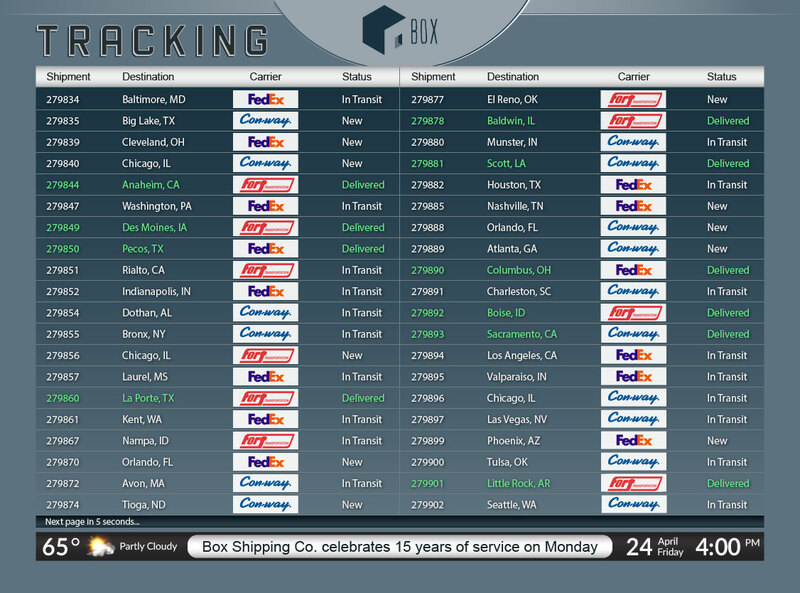 The shipping status board allows you to track orders with ease, monitoring all of your shipments in real-time. No more logging-on to view shipments manually. The shipping status board eliminates hassle for your employees, allowing them to concentrate on other operational needs. Boosting efficiency, freeing up resources and saving your company time.